Christmas is coming, and Coca-Cola is starting their traditional Christmas advertising campaign. However even their expensive and creative commercials can not help them conquer the Swedish market. 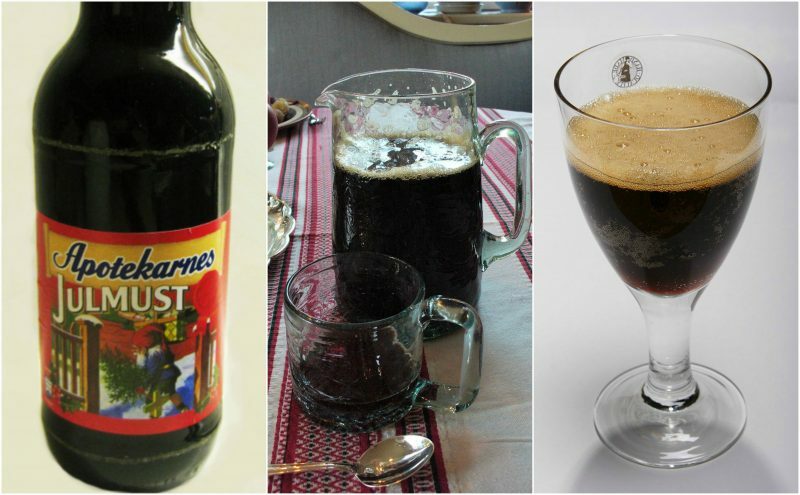 There is another drink that wins the hearts of Swedes at Christmas, and its name is Julmust! The name of this Swedish soft drink translates to Christmas (Jul) Juice (must), juice for Christmas! “Must” is the fruit juice that hasn’t gone through the fermentation phase in wine and cider production. On first glance, Julmust may sound like a relatively simple drink, but in fact, it has a complex recipe known only to its creator. This sweet Christmas drink was invented by a Swedish chemist called Harry Roberts. He picked up and perfected the recipe in Germany while he was studying there, unaware that it would one day become the favorite winter drink in Sweden. In 1910 Roberts came back home, and he and his father founded the Roberts AB in the city of Örebro. They started producing their trademark drink, but initially, sales were very slow. 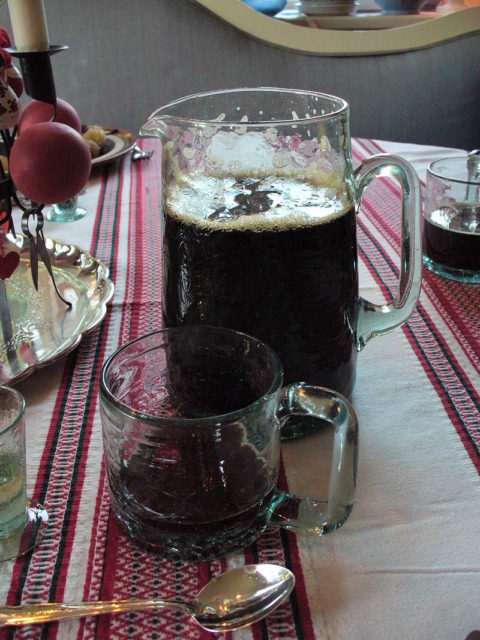 Julmust gained fame in 1922 when alcohol was banned in Sweden. Newly implemented laws that restricted alcohol manufacturers brought great fortune to soft-drink companies such as Roberts AB. The Roberts family still owns the company, and besides the fact that there are many Julmust producers today, they all buy the Julmust extract from Roberts AB. The company doesn’t produce and bottle its final product today; they only sell the raw extract. The Julmust recipe is a well-kept secret. Although some of the basic ingredients are revealed, the spices that make the taste of Julmust original are only known to few people in the closest circles in the Company. 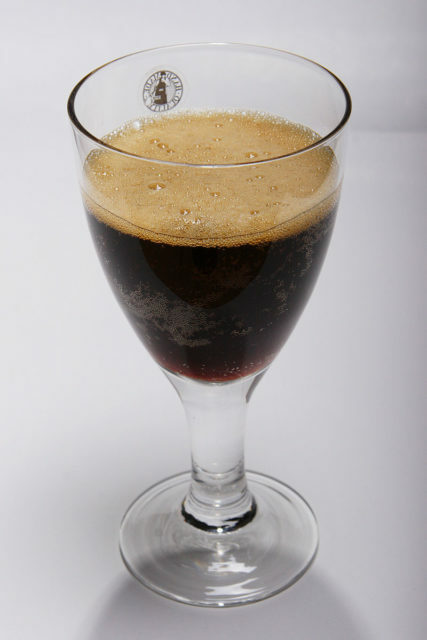 Julmust has a dark color reminiscent of stout beer, and it’s sweeter than other soft drinks because it doesn’t have much acidity. Its taste is similar to drinks such as Coca-Cola and Root beer. The Julmust extract maybe comes from the same company, but different brands of Julmust (such as Nygårda and Apotekarnes) offer slightly different tastes. There are even some manufacturers that mature their Julmust in oak barrels to give it a better taste. What makes Julmust famous is the fact that it holds around 50% of the soda market during Christmas days in Sweden. Here, Julmust manages to outsell Coca-Cola during the Yule season (Christmas days) whose sales drop even 50% in some years! When even a company like Coca-Cola feels the competition, then there must be something special about this drink. For years they have been trying to win the battle with Julmust, but without much success. In few occasions, they became so desperate that they even sought to acquire the secret recipe from Roberts AB, but the company refused to sell it to them. Coca-Cola made attempts to produce their own brand of Julmust, and named it Bjäre Julmust, even selling it at McDonald’s in Sweden. Their product wasn’t popular and it was quickly removed from production. Swedes stayed faithful to the traditional Julmust, produced with Roberts AB extract. Christmas is coming soon and Julmust is once again ready to beat Coca-Cola on the Swedish soft drink market.